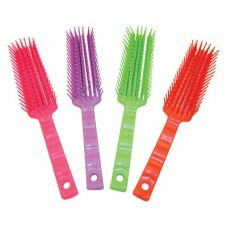 Tangle Wrangler Brush – Features 7 individual rows of teeth that bend and flex to gently loosen the toughest tangles. Teeth then snap back into place, ready for the next tangle. We love these! Yes, even Personal use, it makes a great Hairbrush for you too!